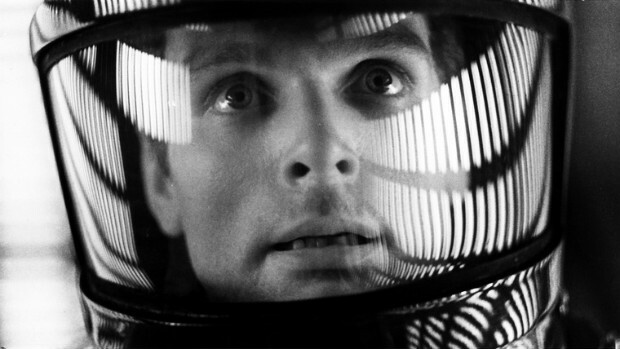 2011 is a good year to watch "2001: A Space Odyssey" and "2010: The Year We Make Contact" for the first time, one year after the second and ten years after the first was supposed to have transpired. I enjoyed both films and recommend them to anyone that likes science fiction. 2001 may also interest anyone that enjoys the artistic side of film-making. The films depict an intriguing mix of over- and under-estimations of technological change. On one hand, they over-estimate the advance of our space-faring capabilities, staging two manned missions to Jupiter (Mars was too close, I suppose). On the other hand, they under-estimate our communication advances; for example, characters use electronic encyclopedias instead of the Internet. While video conferencing seems to be estimated rather accurately, other computing interfaces are abstract and clunky. The films aren't entirely retro-futurism, like Star Trek or Epcot Center, with a weak linear assessment of the long term impact of accelerating technological change. But they also aren't altogether caught up to contemporary futurism's anticipation of a technological singularity. Instead, the films are somewhere in between, reflecting the transition period during which they were produced. This is perhaps best exemplified by the awkward importance/unimportance of HAL, an artificial general intelligence, to the overall plot. His presence is recognition of the near term trajectory of computing capability, but his contributions to the eventual posthuman transformation are less significant than a chance encounter between an ordinary human and extraterrestrial intelligence. Instead of transforming us directly, accelerating change transports us to extraterrestrials that transform us. The films almost connect the dots, but come just short.